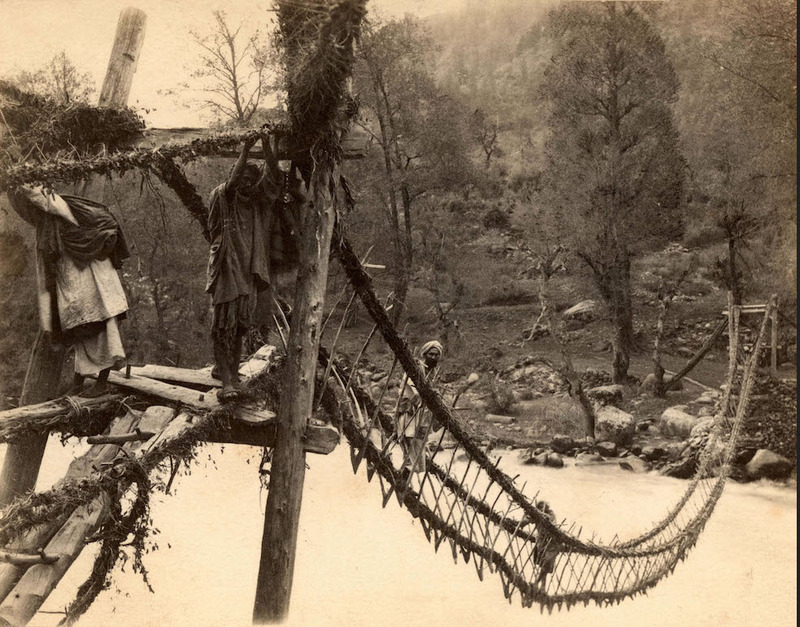 A very scary looking rickety rope bridge crosses a river at Rampur, India, circa 1870. 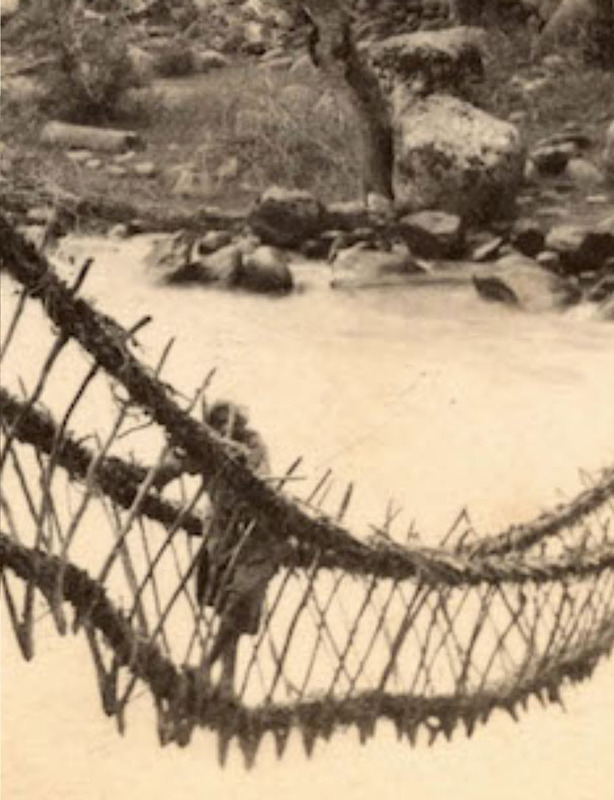 These types of bridges were often the only way to cross rivers in India and South East Asia. They can still be found in the more impoverished, rural parts. Northern Cheyenne War Chiefs, Little Wolf and Morning Star, 1873 by William Henry Jackson. This is a studio photograph of two great Native American war chiefs of the Northern Cheyenne Tribe, taken in 1873. The Cheyenne are an indigenous Native American people belonging to the Algonquin language family. Their original homeland was in Minnesota but in the face of white settlement and aggression they relocated westward, eventually centering in the Black Hills area. During the 1800s they were a powerful Native American group, and they waged successful wars against their neighbours as well as white settlers and the American army. Their ethnic and linguistic group was contained two main divisions, known to the American government as the Northern and Southern Cheyenne, but in their own language the so called Northern Cheyenne referred to themselves as Notameohmésêhese meaning “Northern Eaters” or simply as Ohmésêhese meaning “Eaters”, while the Southern Cheyenne referred to themselves as Heévâhetaneo’o meaning “Roped People”. Their society was centered the horse culture, namely on the use and breeding of horses in furtherance of a nomadic lifestyle. Because of the frequent conflicts of his people with neighbouring tribes and with the American army, military leadership was extremely important. Military leaders or war chiefs were elected by the tribes. One of their greatest chiefs was Little Wolf ( c. 1820–1904) who led his people in many campaigns, including the daring escape of his tribe from Army captivity back to the Northern Cheyenne’s homeland in a heroic exodus known as the Northern Cheyenne Exodus. Little Wolf (perhaps better translated as Little Coyote) was given the high honour of being named as one of the Old Man Chiefs by a council of his people. Chief Morning Star (1810-1883), as he was called by Federal Officials, was also an important Cheyenne war chief. Among his people, he was more properly known as Dull Knife. Chief Morning Star/Dull Knife was an admired warrior and led resistance against white settlement and expansion. After Custer’s defeat at the Battle of Little Big Horn, Dull Knife allied with the Sioux but he was eventually defeated and forced to surrender. He and the people under him were interred in Indian Territory in Oklahoma. 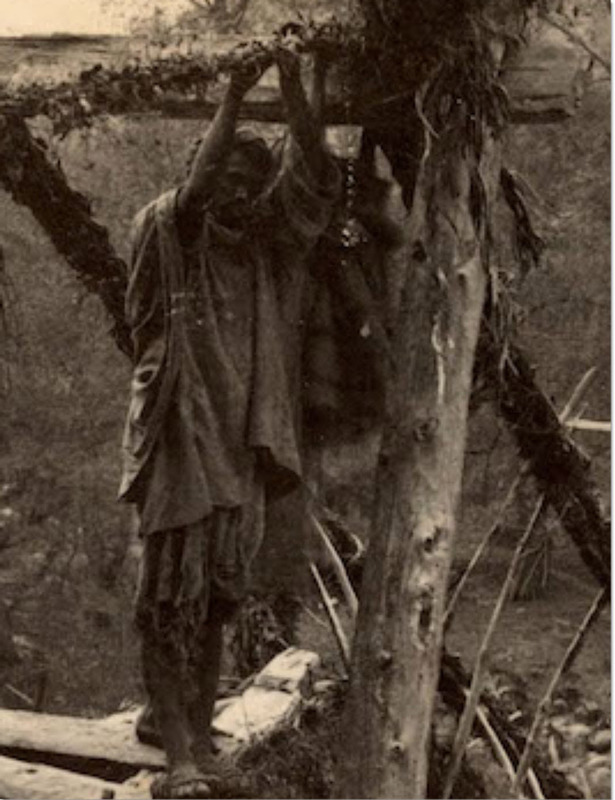 There the tribe suffered starvation and disease, so several attempts were made to break out and return to their homeland. Many were killed in the attempt, but Dull Knife and some of his people were able to escape and return to their homelands. 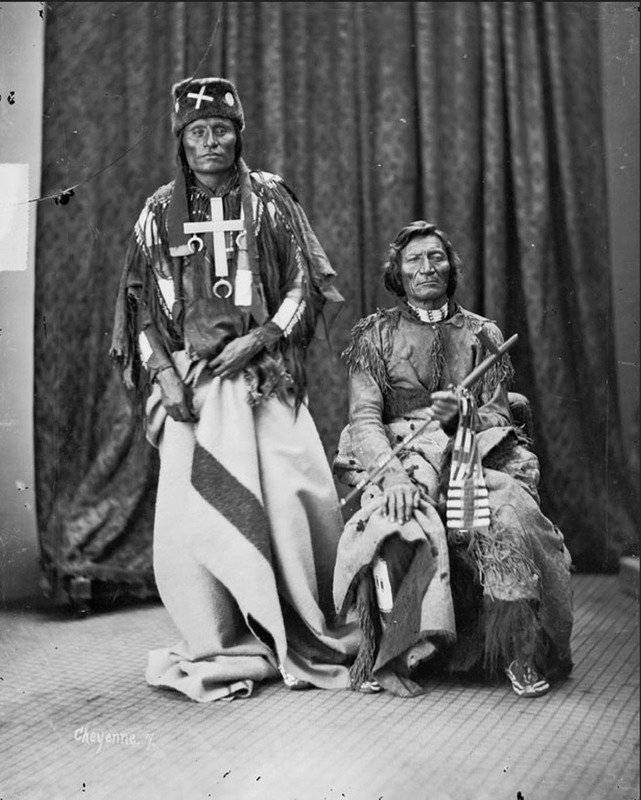 This iconic photograph of the two chiefs was taken by William Henry Jackson, a photographer renowned for his pictures which documented life on the rapidly changing western frontier. It is thanks to Jackson that we are able to glimpse what life was like on the frontier of the Old West. Interesting and Rare Old Vintage Photographs and Illustrations | Powered by WordPress and Dynamic News.